Some health plans would have doctors believe that all terms and conditions in health plan contracts are immutable. That is not true. Health plan contract language can and should be negotiated under some circumstances. All physicians are strongly cautioned against blindly signing health plan contracts or any “paper work” that comes across your desk concerning rates, charges, reimbursement or network participation on the assumption that you have no choice. All physicians should be vigilant about establishing an organized contracting methodology that will identify contract issues that may warrant concern and discussion with a health plan representative about possible language changes. There is strength in numbers: the more physicians proactive about negotiating health plan contract provisions, the more effective all physicians will be in contracting with payers. The contracting guidelines below are recommended to physicians and their office administrators as a starting point for establishing effective contracting protocol for medical practices. Where there are particular concerns about the potential effect of contract language, there is no substitute for obtaining legal advice. 1. Reject the premise that health plan contracts are non-negotiable. You can negotiate health plan contract language. If you assume all health plan contract language is a take-it-or-leave-it proposition, you will necessarily be unable to determine what particular provisions a health plan might be willing to negotiate with you. 2. Develop and follow a specific office contracting protocol. 3. Establish strong rapport with a health plan representative. 4. Realistically assess your ability to negotiate a provision. Various factors influence whether and to what extent a health plan will negotiate particular contract provisions. Before you raise an issue with a health plan, assess your negotiating position. •	What is the value of the contract to your practice? •	What percentage of your business does the health plan represent? •	Do the fees cover your true cost of doing business? •	Are the health plan’s administrative requirements realistic? •	Does the health plan steer patients to you? •	What is the impact of dropping a plan on referrals – do you need to stay in plan because referring doctors will also refer patients from good plans? •	What are the strengths of your practice that might make you more attractive to the health plan? •	Do you add value to the health plan’s network (e.g., you are the only specialist within so many miles). 5. Determine specifically what you want to obtain. Concerning any potentially problematic health plan provisions that you want to address with a health plan, determine in advance terms language that would be ideal for you, what would be minimally acceptable to you, and an alternative plan if you cannot negotiate something acceptable. Although in negotiating a contract, you may not always obtain terms and conditions or language that are the ideal, having a framework in mind for what would be ideal – a target – is important in contract negotiations. 6. Apply a contract review checklist when you review health plan contracts. 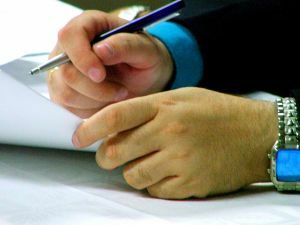 Develop a written contract review template or “checklist” that you, or your designated office personnel, can utilize to identify contract provisions that warrant possible negotiation. While there may be no one-size-fits-all template, the checklist below can be used to develop an individualized template that will work for your practice. Our firm’s suggested checklist is published on the Medical Association of Georgia’s website. Kevin Little is a Georgia and South Carolina Health Care attorney who represents physician, physician groups, ambulance service providers, nursing homes and other health care providers and businesses. Our business practice is focused on health care issues. Contact us at (404) 685-1662 (Atlanta) or (706) 722-7886 (Augusta) to schedule a confidential consultation.